After 39 years, Met-L-Tec, LLC has secured its place as a leading supplier of Nickel Electro-formed Masks, Stainless Steel Fabricated Masks, Metalization Reels and Masking, Coating Reels for various applications, i.e. Painting, Adhesive, Hard Coating, Etching. etc. Additionally, we’re your source for special machine tooling. 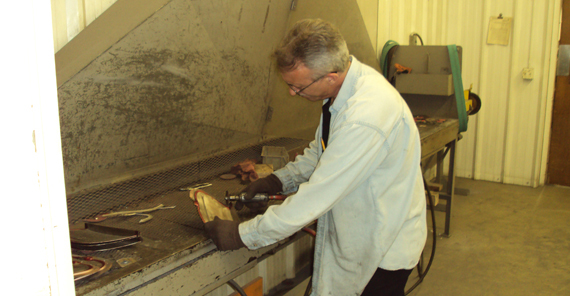 We realize providing quality custom tooling in a timely manner allows our customers to manufacture quality components and realize a maximum return on their investment. That is why we strive to operate as efficiently as possible, completing projects promptly. At Met-L-Tec, we think what differentiates a good company from a great one is the people. We are proud of our employees’ loyalty, years of experience and teamwork. Our hard work, creativity and commitment to quality continues to impress our customers.Allow us to provide you quality workmanship, excellent customer service and competitive pricing. We welcome the opportunity to provide a quotation on your upcoming project.